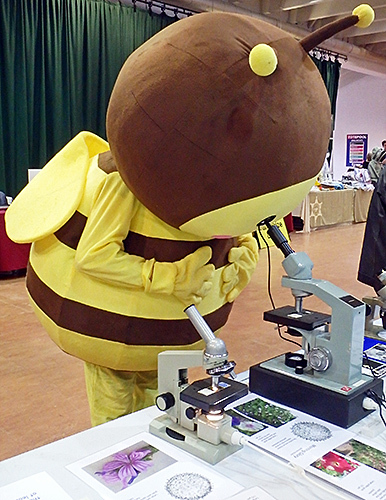 This was our fourth visit to the National Honey Show as part of our microscopy outreach programme, held this year at a new venue, Sandown Park Racecourse in Esher in Surrey. 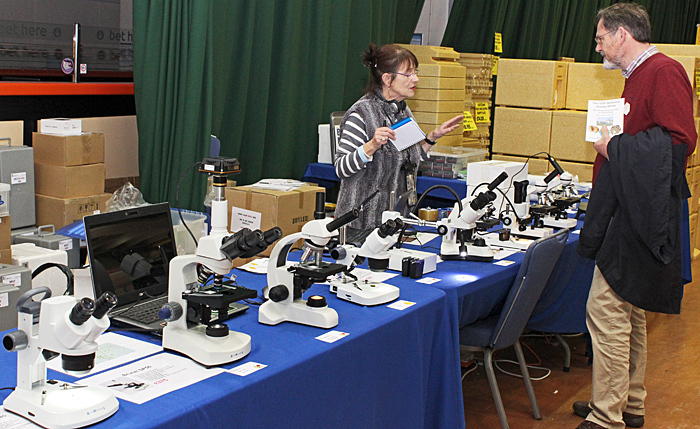 Joan Bingley, Deborah Bishop, Kit Brownlee, Norman Chapman, Pam H. and Alan Wood manned the Club’s stand in the Trade Hall, which was adjacent to the area where all of the entries were displayed. 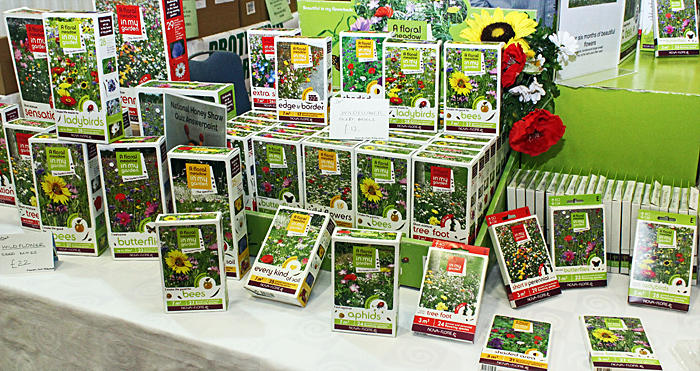 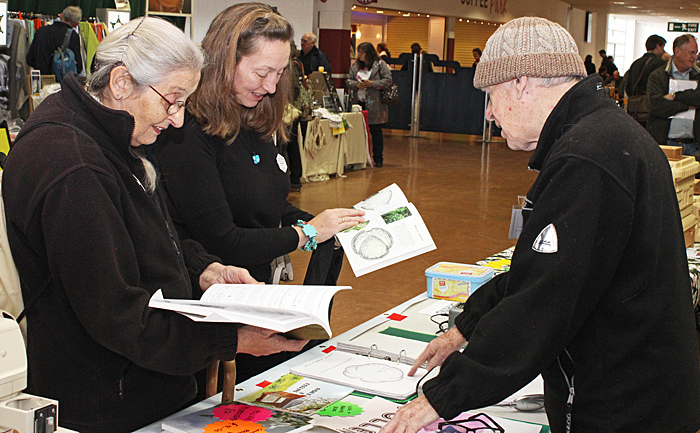 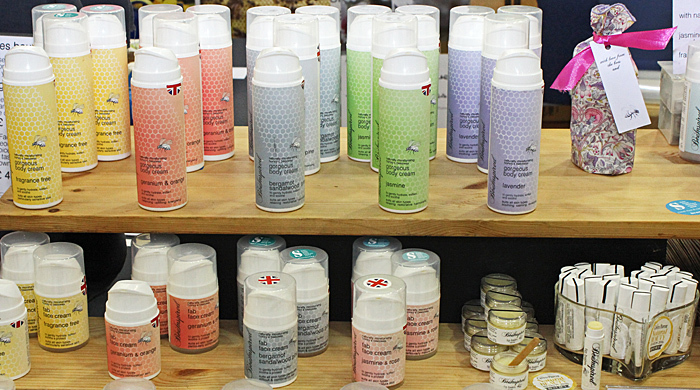 Many people attending a workshop or lecture passed our stand on their way to the Food Hall, so we had lots of visitors. 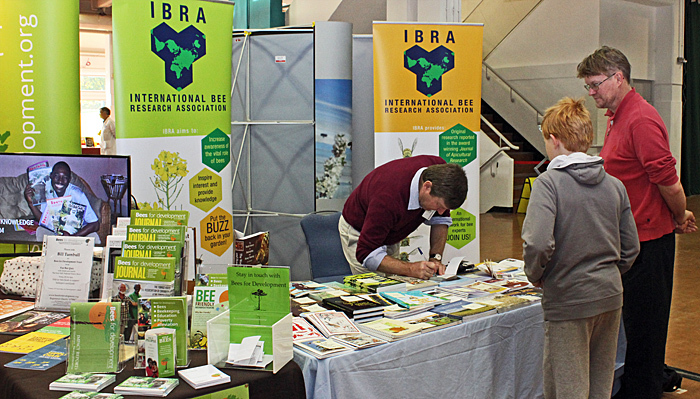 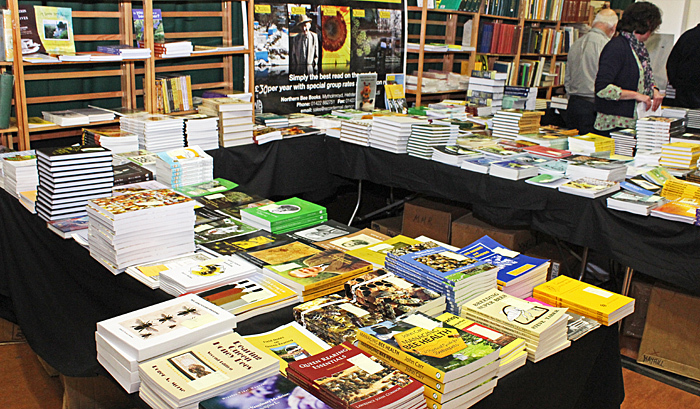 We had a good selection of specimens, microscopes, leaflets, books, journals and bulletins on the stand, and laptop computers with slide shows about the Club and our support for beekeepers. 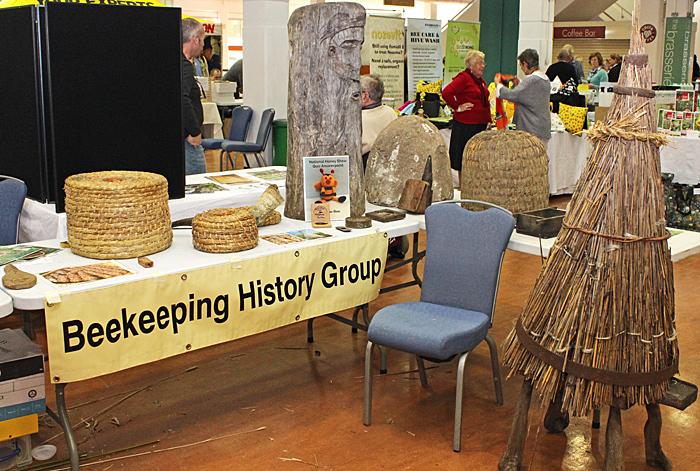 We had 3 tables, so there was plenty of space for our displays and for visitors. 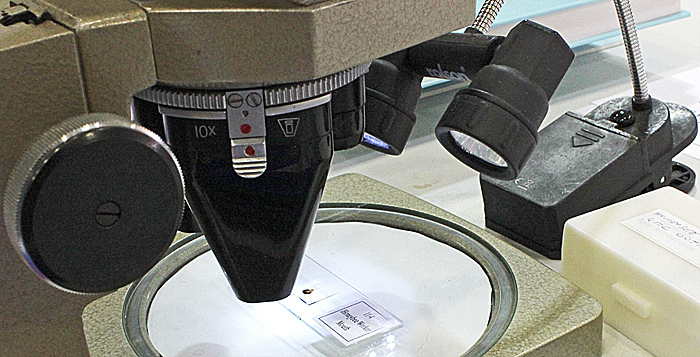 We had a Vickers stereomicroscope for viewing slides of bee parts, an Olympus SZ4045 for viewing a set honeybee (on one of Martin Hinchcliffe’s specimen holders), and monocular Watson System 70 and Lomo Biolam C11 compound microscopes for viewing pollen slides. 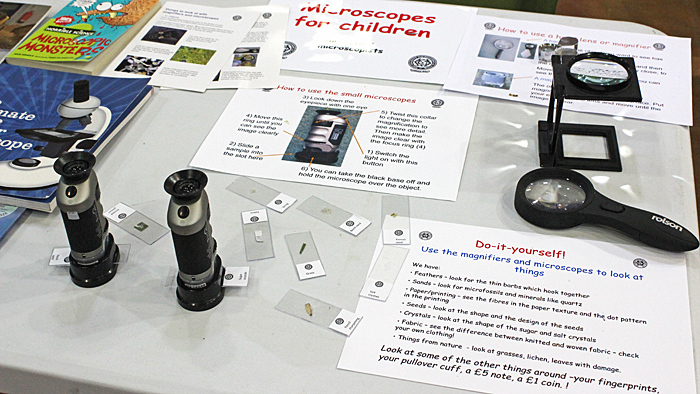 We also had some Natural History Museum microscopes that proved popular with adults for their own use as well as for Christmas presents, and some specimens mounted on plastic slides. 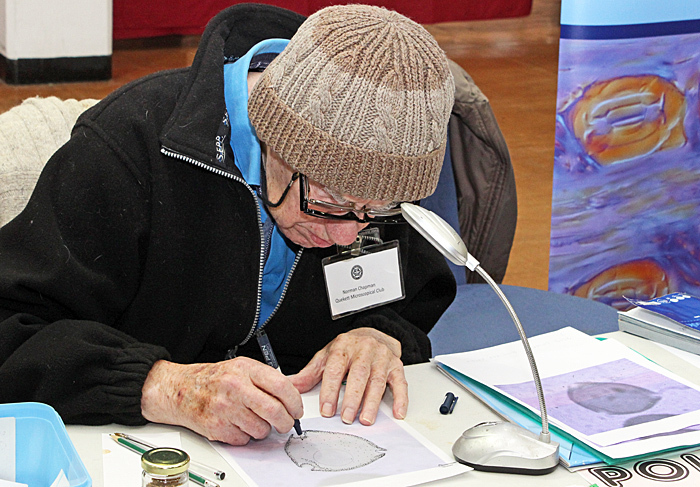 The presence of Norman Chapman on the stand always attracts visitors, and this year he was demonstrating how he produces his drawings of pollen grains on tracing paper over a printed photomicrograph. 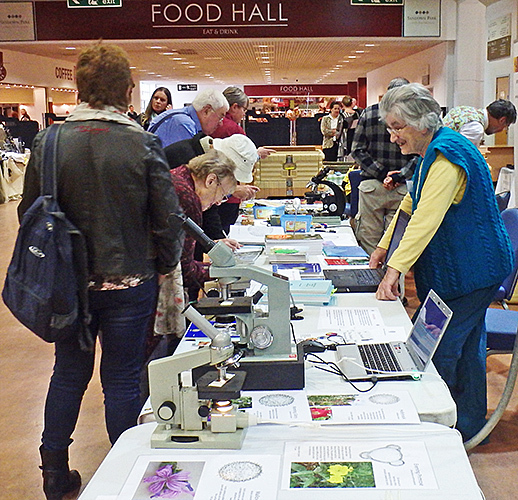 Norman was also selling and signing copies of his book Pollen Microscopy, and showing the microscope that he uses, some of his beautifully-mounted pollen slides, and some of his home-made gadgets. 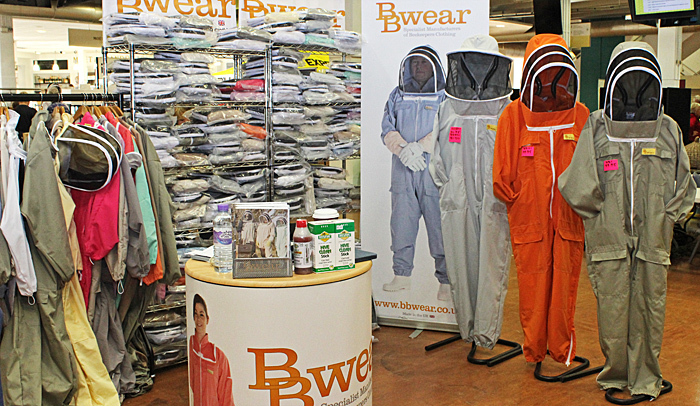 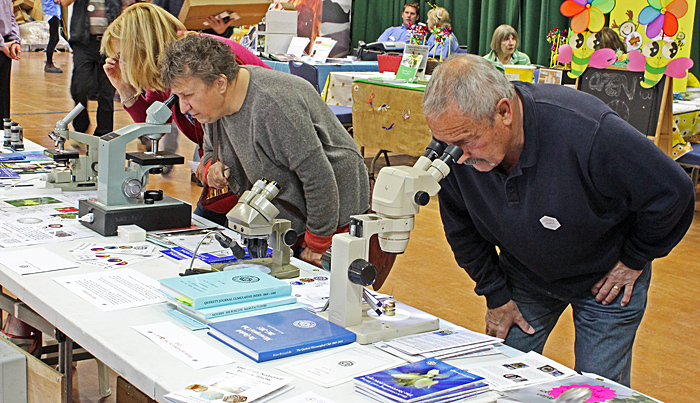 One of the Club’s obligations as a charity is to promote microscopy, and our stand generated a lot of interest from beekeepers, so we should attend the Show again in 2017. 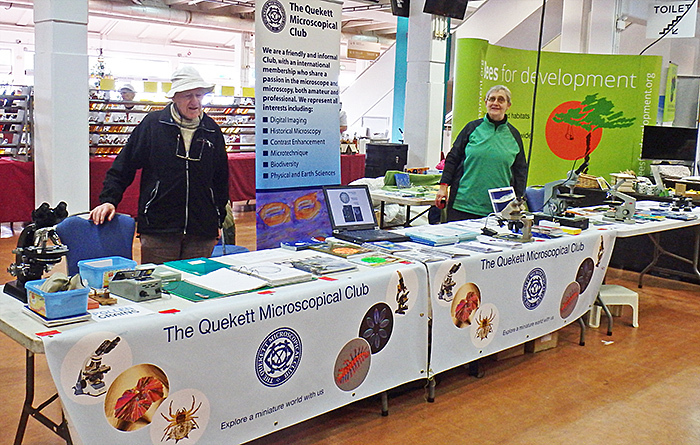 The Club thanks member Norman Chapman and his daughter Val Rhenius (the Publicity Secretary and Trade Hall Booking Secretary) for organising our stand at this very impressive and well-organised event. 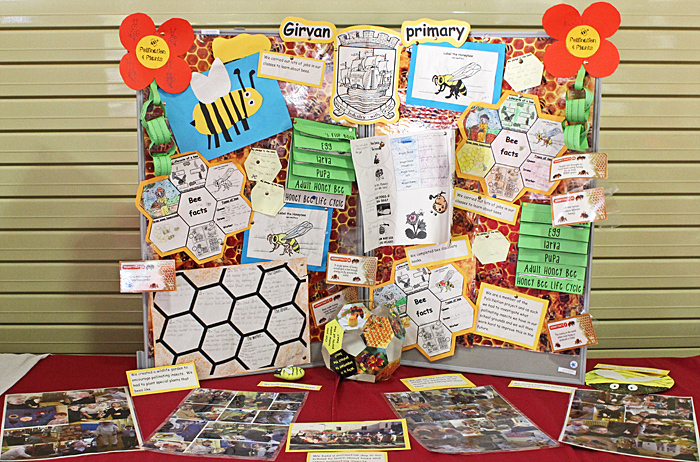 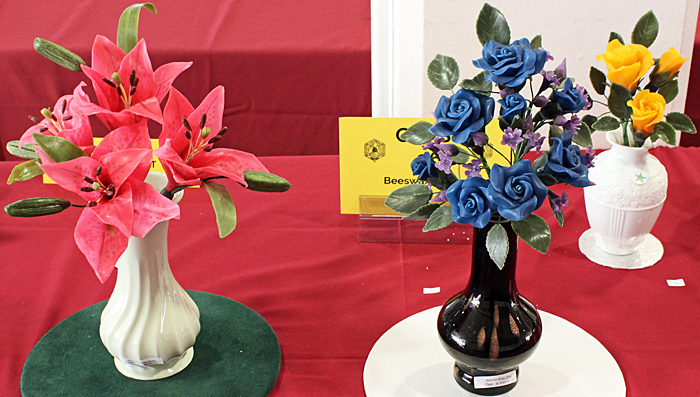 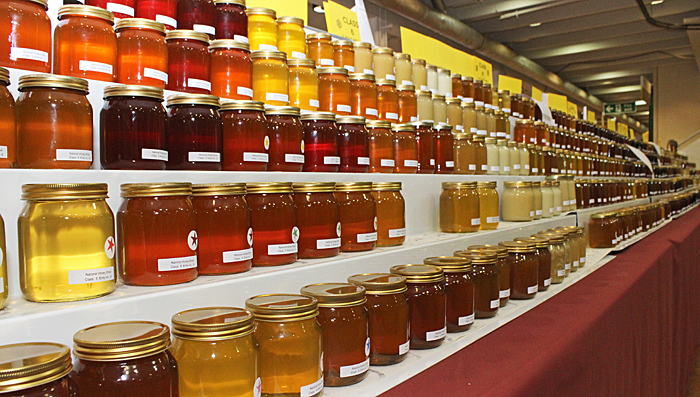 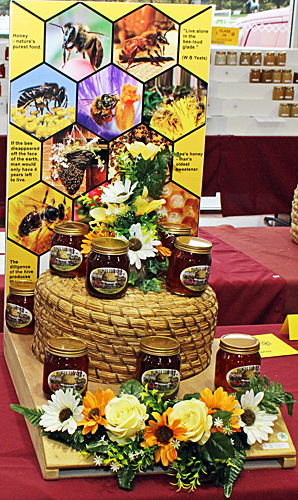 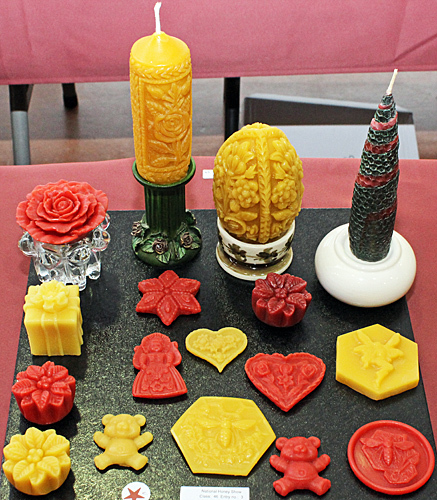 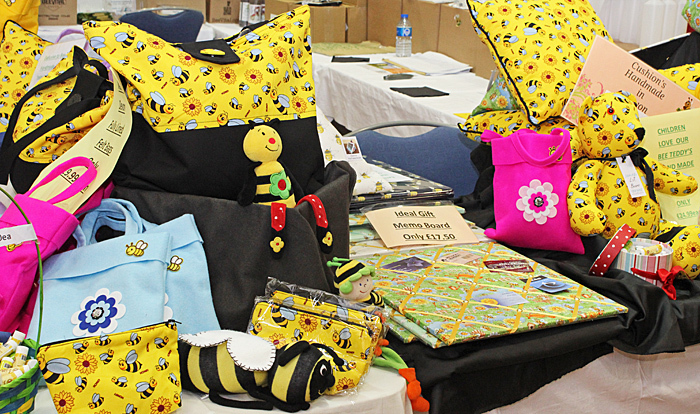 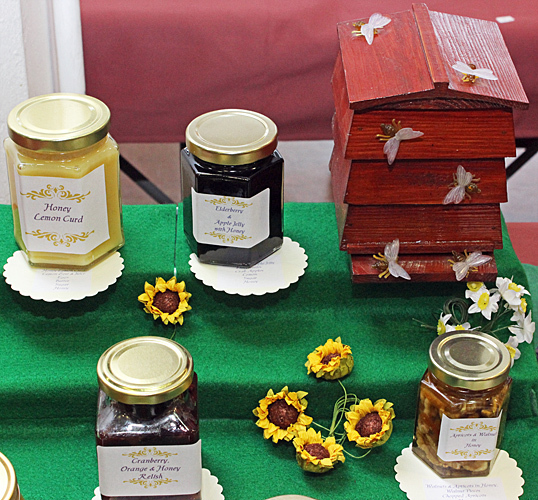 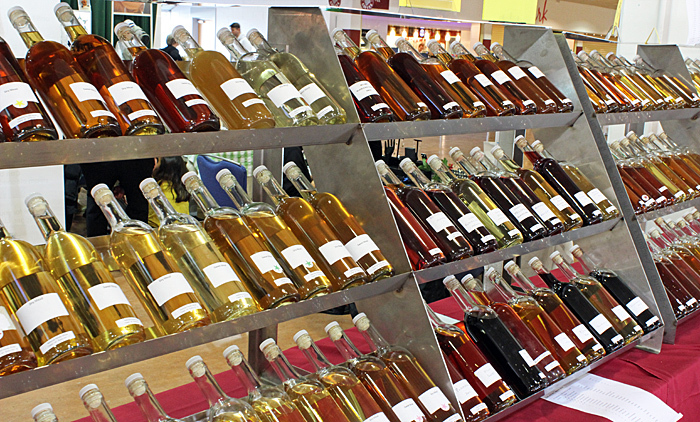 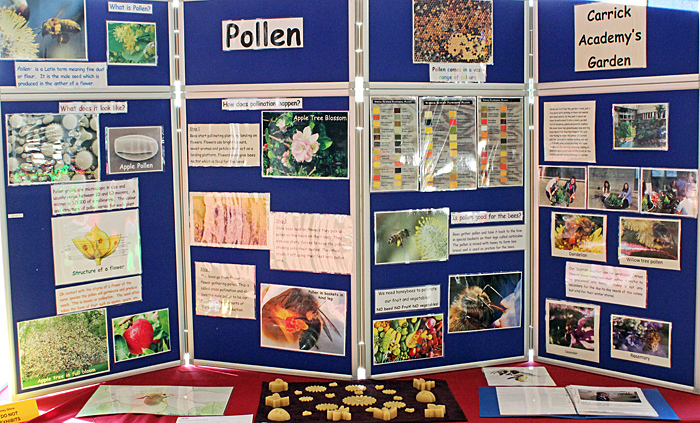 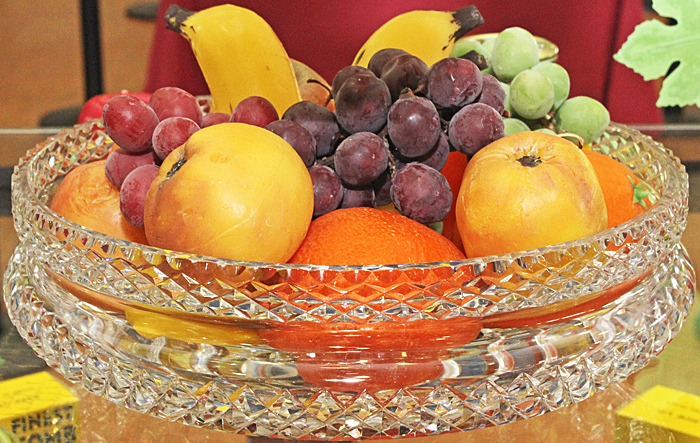 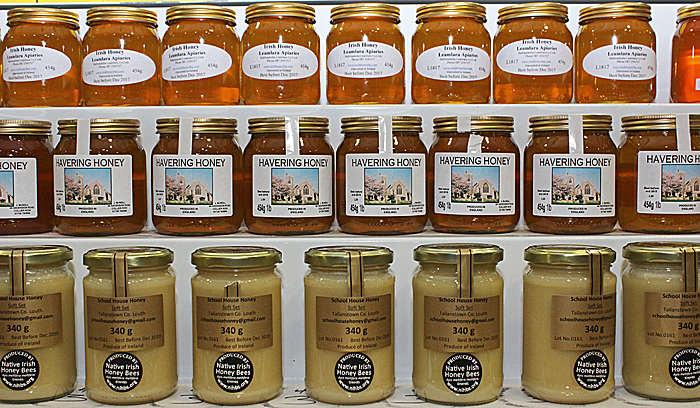 This year, the exhibition was in the same room as the sales tables and so lots more people were able to see the displays of honey, beeswax, mead, honeycomb, frames, photographs and microscope slides. 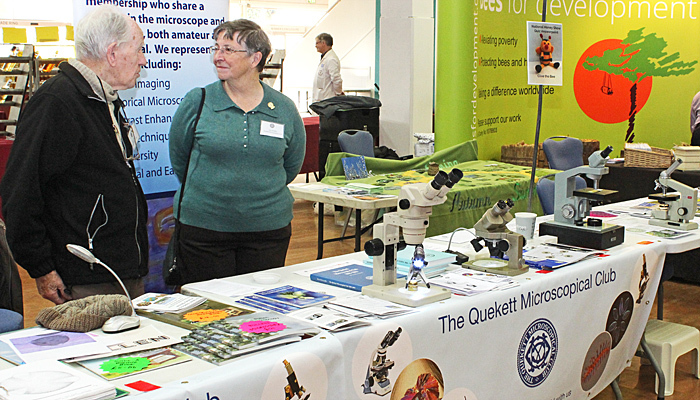 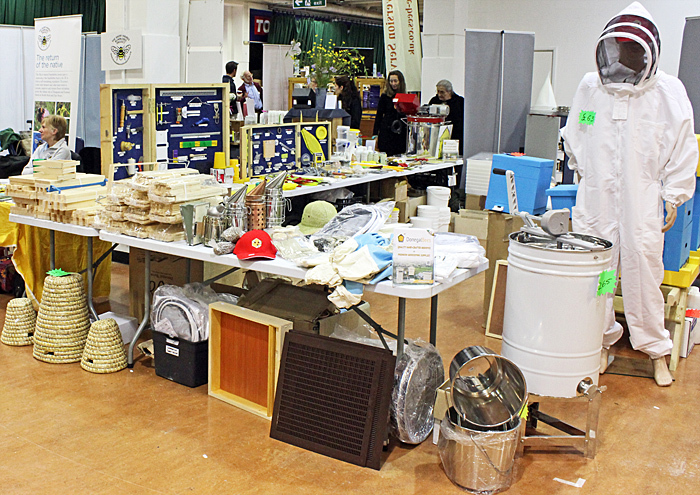 In addition to the Quekett stand, there were lots of stands in the Trade Hall where members of the public could buy almost anything a beekeeper could desire (including microscopes), browse books on bees, find out about associations to join, learn about beekeeping in developing countries and learn about pests and diseases of bees. 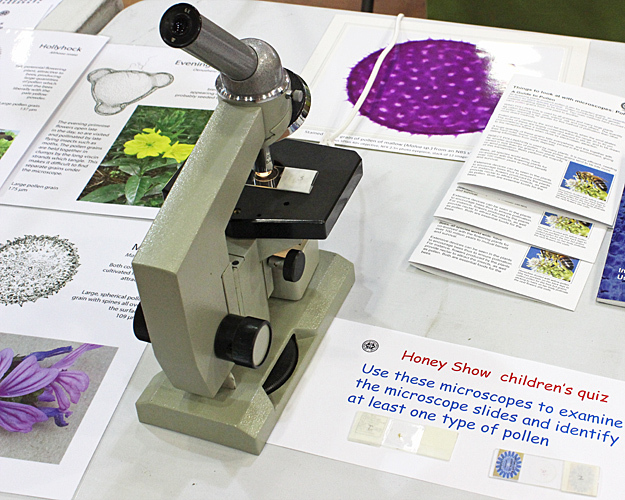 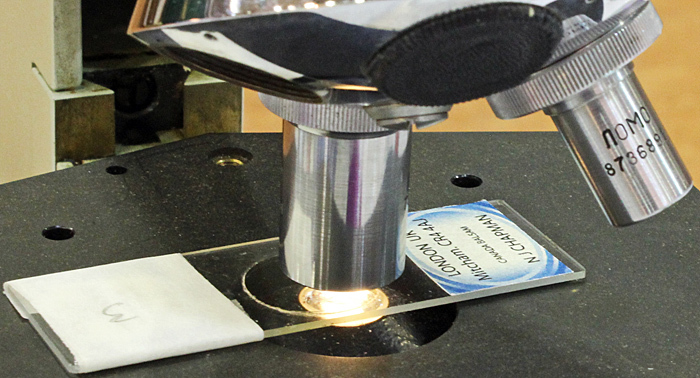 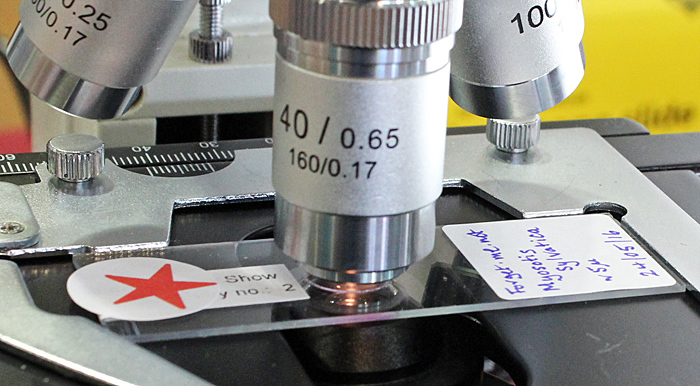 Alan Potter, Managing Director of Brunel Microscopes, led two workshops for beekeepers, “Microscopy – Preparing Pollen Slides” and “Microscopy – Preparing Slides of Honeybee Parts”.